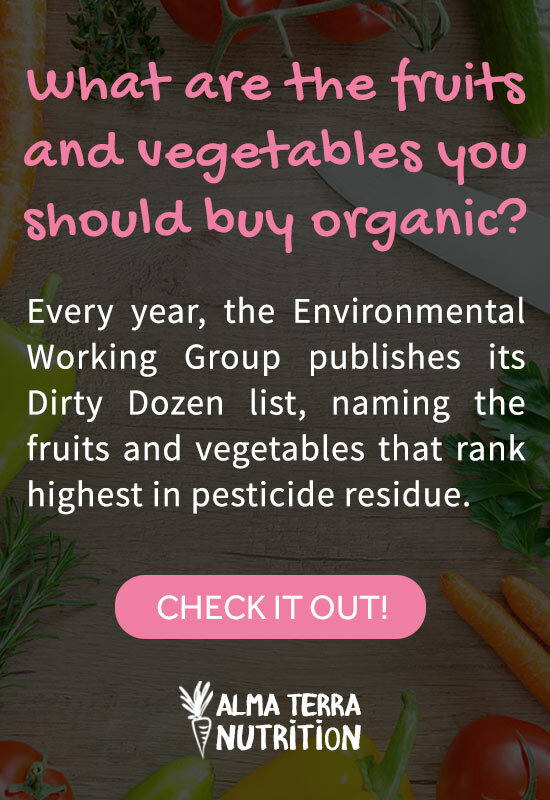 Every year, the Environmental Working Group (EWG) conducts a study on pesticides and publishes a list of fruits and vegetables with the highest levels. Although pesticides are prevalent in agriculture, I don’t want you to fear eating fruits and vegetables. Rather, I want to protect you from ingesting harmful chemicals. 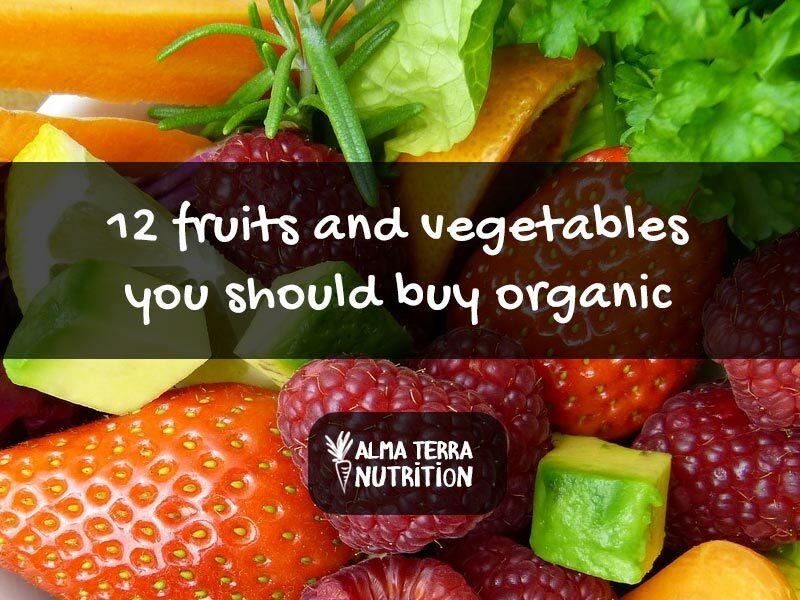 In this post, I share which types of produce are best consumed organic. Here are the results of the EWG’s 2018 study on pesticides. 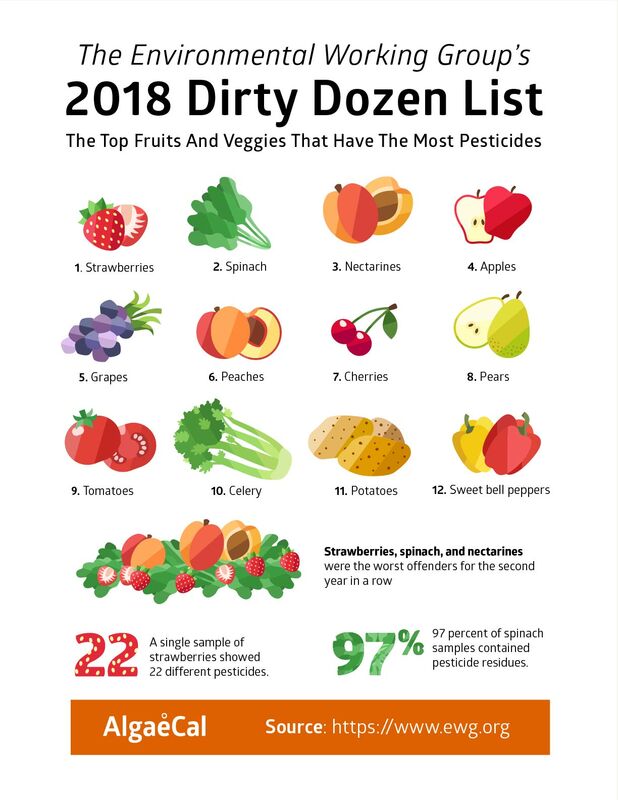 Note: The fruits and vegetables that contain the most pesticides are called the “Dirty Dozen”. Conversely, the “Fifteen Clean” types of produce have the lowest pesticide levels. What are the dangers of pesticide exposure? Eating healthfully and responsibly is a daily challenge. Considering all the environmental pollution, food transportation hazards, and the threat of spoilage, it’s difficult to make wise consumer choices. Pesticide residues not only exist in our food, but also in our water and air. Contact with all these toxic sources has cumulative effects. For example, pesticide ingestion causes numerous health problems. Among them are cancer, weak immunity, infertility, congenital abnormalities, neurological disorders, and skin diseases. Pesticides and preservatives weaken the intestinal flora that optimize our digestion and immunity. The good news is that we can reduce our pesticide exposure by eating organic foods and supporting their cultivation. Organic products are much lower in pesticides than conventionally produced foods. How can we discourage the widespread use of pesticides? To promote safe farming practices, buy organic products whenever possible. If you have space on your property, raise an organic garden. If you shop at a farmers market, ask the growers whether they use pesticides. 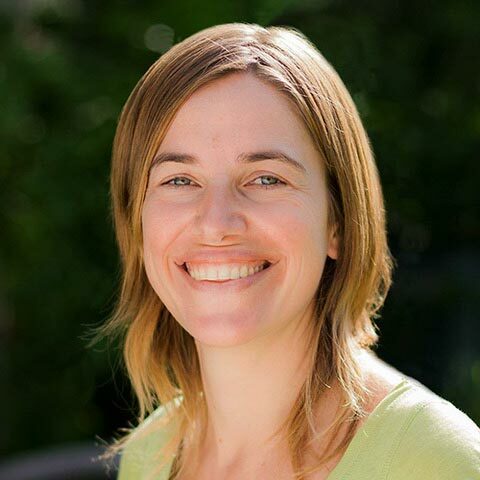 Although producers may lack organic certification, they may still omit or limit chemical application. Buying organic has a beneficial ripple effect. While improving your health, you’re also protecting our Earth’s air, water, and wildlife from contamination. When organic food isn’t available, opt for locally grown, if feasible. Regional produce is fresher and more flavorful than food sourced remotely. At local farms, the time between harvesting and marketing is shorter. The farther food must travel, the more nutrients are lost along the way. Layovers in trucks, planes, and warehouses expedite the dissipation of vitamins, antioxidants, and enzymes. Likewise, by supporting local growers, you preserve nature in your geographic area. Additionally, you lessen the use of fossil fuels to package, store, and distribute food. Can pesticides be removed by rinsing or peeling? Rinsing produce with water washes off some surface chemicals. However, traces will remain. While peeling also pares down the risk of exposure, it isn’t advisable. Nutrients concentrated in the skin get discarded. However, University of Massachusetts researchers have discovered an effective way to eliminate most pesticide residues. Clean your produce with baking soda! To do this, in a basin, mix three teaspoons of baking soda with water. Place fruits and vegetables in the basin, and gently scrub them with a vegetable brush. Then, allow them to soak for three minutes, followed by rinsing with cool water. When available, buy the following organic: strawberries, spinach, nectarines, apples, peaches, pears, cherries, grapes, celery, tomatoes, bell peppers, potatoes, and cucumbers. Otherwise, support local and sustainable agriculture by eating seasonal produce. To help your intestinal flora thrive, eat cultured foods, such as fresh sauerkraut, kimchi, yogurt, and kefir. The lactic acid bacteria that develop during fermentation help your body eliminate pesticides. Above all, if you don’t have access to organic produce, keep eating whatever high-quality fruits and vegetables you can find. Their vitamins, minerals, antioxidants, and enzymes will help shield you from the effects of toxic products.